Premalignant lesions and early cancers are usually asymptomatic (i.e. the patient has no pain and they don’t even know they have a lesion), so their detection is contingent upon a careful soft tissue examination by a dentist. This examination must include the inside and outside of the lips, the cheeks (buccal mucosa), the sides and undersurface of the tongue, the floor of mouth, the gums, the roof of the mouth (palate), the back of the mouth/top of the throat (oropharynx). 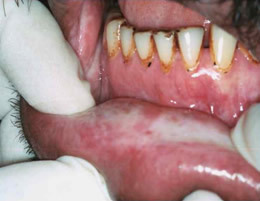 Most oral lesions are traumatic in nature and have no potential for cancer. However, some oral lesions have an appearance which may raise suspicion by the dentist. Cancer can occur anywhere in the mouth and is often painless in the early stages. The major risk factor is tobacco smoking. 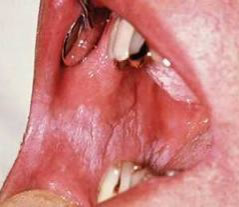 Cancers of the lower lip occur more commonly in people who have a high exposure to UV sunlight, such as outdoor workers. By not smoking and always using sun protection on exposed skin and lips, patients can decrease their risk of developing these cancers. Your dentist will examine and assess any non-healing ulcer or change in the appearance or texture of the skin. In most cases, the earlier the treatment, the better the outcome. Cancer of the mouth is both a preventable and potentially curable disease if it is detected early enough. If you are suffering from any of the above problems please feel free to contact us. Tune into Radio Manav Rachna 107.8 FM for regular oral and dental updates.